For those of you who don’t already know – I’m a pretty big fan of Vitamin String Quartet. We had their music playing to greet the guests as they arrived at our wedding, and playing during the cocktail hour after the ceremony while the we posed for the formal pictures. I even walked down the aisle to their version of Maybe I’m Amazed by Paul McCartney. I just love the way they can turn any contemporary song into a beautiful string ensemble piece! So of course I was super excited when I discovered that in honor of Halloween this month, the Vitamin String Quartet * has released a new album on which they perform the Grammy award winning soundtrack to The Nightmare Before Christmas *, Tim Burton’s triumphant October classic. 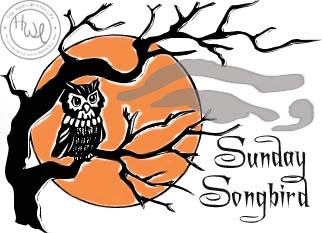 Check out some of my favorites from the album below, in today’s Halloween-Themed Sunday Songbird! ← The Hand-Written Life Becomes TheHWL on November 1st!